Spreadsheets were not consistent enough for Christie Medical’s growing export business. 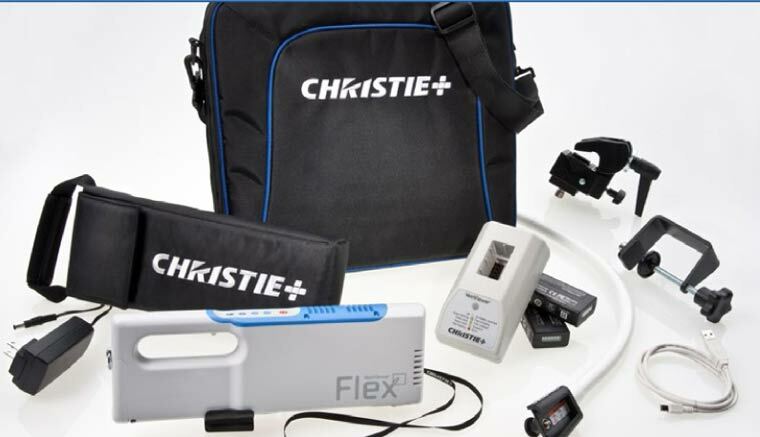 Christie Medical saves time and money by producing accurate export documents using Shipping Solutions and emailing them to their warehouse rather than sending hard copies. 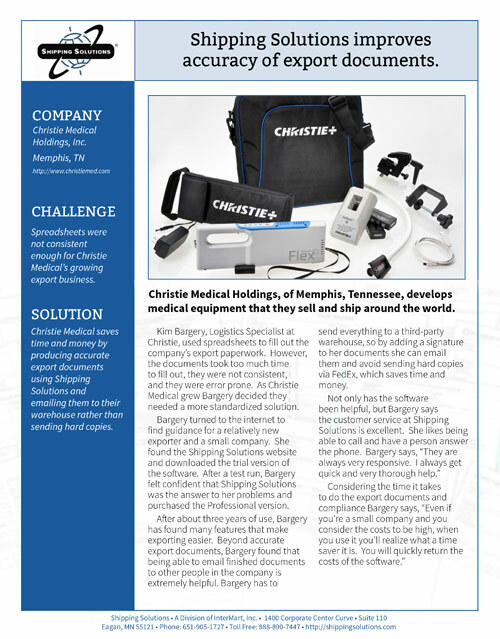 Christie Medical Holdings, of Memphis, Tennessee, develops medical equipment that they sell and ship around the world. Kim Bargery, Logistics Specialist at Christie, used spreadsheets to fill out the company’s export paperwork. However, the documents took too much time to fill out, they were not consistent, and they were error prone. As Christie Medical grew Bargery decided they needed a more standardized solution. Bargery turned to the internet to find guidance for a relatively new exporter and a small company. She found the Shipping Solutions website and downloaded the trial version of the software. After a test run, Bargery felt confident that Shipping Solutions was the answer to her problems and purchased the Professional version. After about three years of use, Bargery has found many features that make exporting easier. Beyond accurate export documents, Bargery found that being able to email finished documents to other people in the company is extremely helpful. Bargery has to send everything to a third-party warehouse, so by adding a signature to her documents she can email them and avoid sending hard copies via FedEx, which saves time and money.